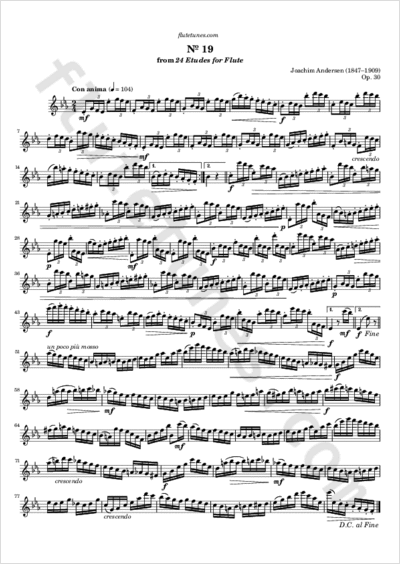 The study in E-flat major we present today is the nineteenth piece from Danish flutist and composer Joachim Andersen's Twenty-Four Etudes for Flute, Op. 30. It carries the character indication “Con anima”, which in Italian literally means “with soul”.